Have you always wanted to go on a TRUE NORTH cruise? 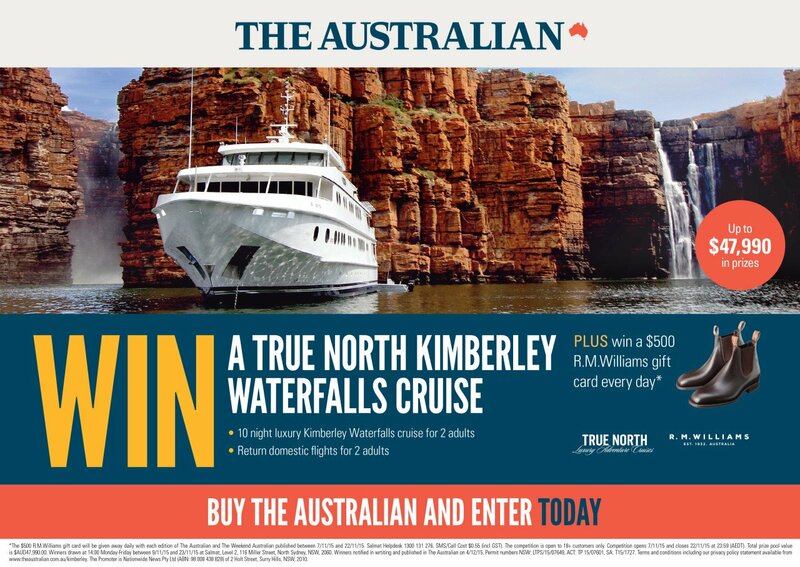 Then lookout for an upcoming competition in The Australian newspaper! 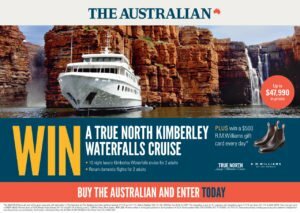 Buy a copy of The Australian and you could win a 10 night Kimberley Waterfalls cruise including return domestic flights for 2 adults. The promotion runs from November 7-22 2015. You’ve got to be in it to win it!